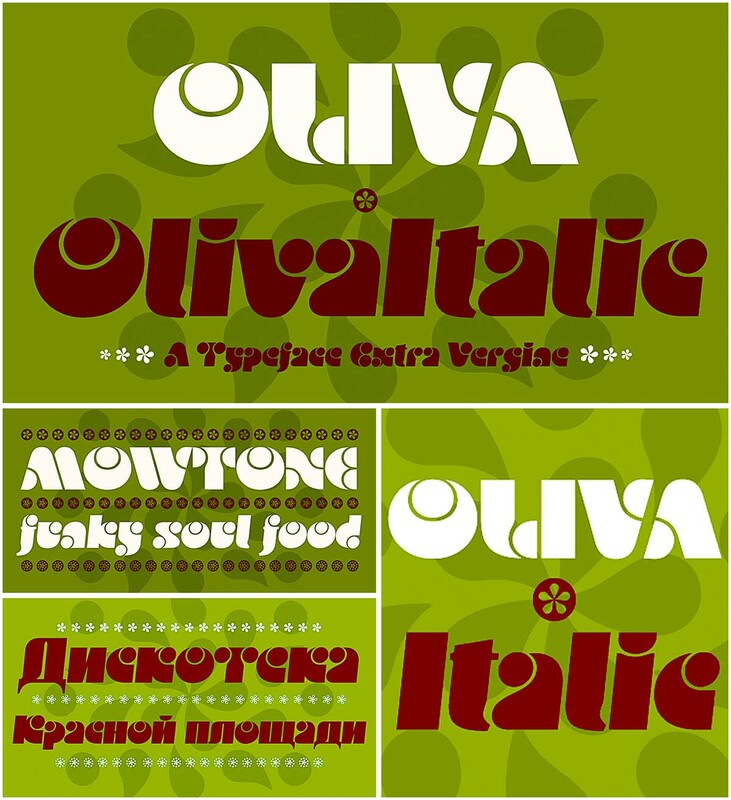 Introducing Oliva and Oliva Italic funky display fonts. This contemporary type comes with Cyrillic language support. Tags: art deco, creative font, cyrillic font, funky, futura, rounded.